Born in Shanghai of Russian parentage, Sages came to Australia in 1948. A painter of extraordinary vitality and originality, her work is characterized by complex technique and a profound depth of feeling. After working professionally for thirty years as an illustrator, she devoted herself fully to painting in 1983 after a life-changing journey to the Kimberley in Australia’s northwest. 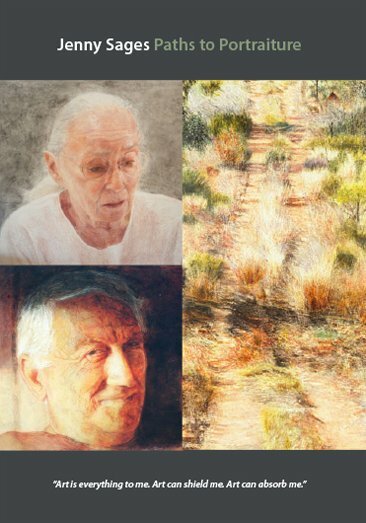 She won the Wynne Prize for landscape painting in 2005 and the Portia Geach Memorial Award for Portraiture twice. Her work was celebrated with a survey exhibition at the National Portrait Gallery in 2010. In 2012, her self-portrait “After Jack” was both runner-up in the Archibald Prize and winner of the People’s Choice Award. It was the twentieth time she had been selected for the Archibald. Jenny Sages: Paths to Portraiture seeks to understand the forces that have shaped her work and the process by which she extends her vision.